I can't help wondering if the addition of keyboards, bass and more backing vocals would have turned a good album into a world class one. 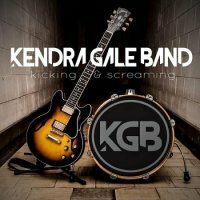 Canada's Kendra Gale Band take the stripped-down sound ethos of The White Stripes, add a soulful voice that is a blend of fellow country woman Alannah Myles and gritty Aussie Suze Demarchi, and then bring in some Blues/Country guitar playing that would give Bonnie Raitt a run for her money. That's one hell of a starting place! All the tracks found on this album were laid down live and bare at Lakewind Studios in Nova Scotia which explains the relaxed and airy production. A simple rhythm guitar part and basic drums underpin Kendra Gale's warm and gritty vocal delivery on first track 'Hold Me Close'. It's almost like a barebones Status Quo with the gain turned down! Meanwhile, a Rockabilly style is the route taken with 'Blame' and sees a few simple solos and drum fills from Warren Beatteay padding out the sound. Gale's voice almost becomes a third instrument on a truly well-constructed 'Put Up A Fight'. 'Noise In The Dark' has a musical light and shade as it's the first song which has any sign of backing vocals despite being fairly barren from an instrumental viewpoint. This addition really helps this track to flow. Firmly in White Stripes territory comes 'Make You Love Me' with its fast-paced Rocky beat and drum solo. Blues Rockers 'Their Way' and 'Wish You Didn't' contain guitar elements which have a Lenny Kravitz groove to them, something that makes them very tasty indeed. 'One More', a lyrically beautiful ballad, delivers its slower-paced message and lets Gale's voice explore both soft and high-power deliveries. On the other side of the coin with its to-the-point title, 'I Think I Hate You' is a brilliant slow Rocker almost in the flavour of early AC/DC minus the guitar solos. The title track 'Kicking And Screaming' follows a similar pattern and certainly hits the spot. 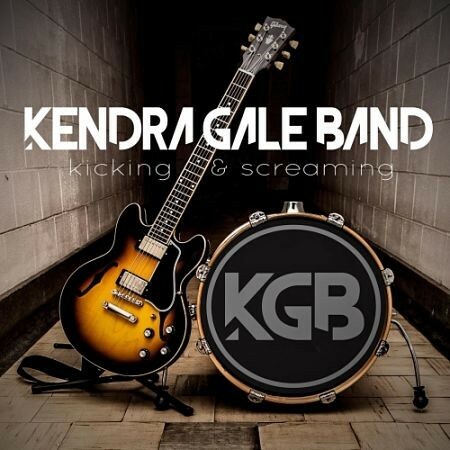 All in all, Kendra Gale has produced a great album here which shows not only her prowess as a guitarist and vocalist but also as a writer. All the tracks are consistently good, however, I can't help wondering if the addition of keyboards, bass and more backing vocals would have turned a good album into a world class one!